Hello again lovelies ♡ So today I am answering the other half of the questions asked by you gorgeous people on Instagram. Again, thank you all so much for the questions as I really do appreciate it. @ootd.__ – What kind of person do YOU think you are? I think I’m quite an honest and caring person, however I do have quite a few selfish attendance’s when it comes to protecting myself. I’m also very loyal and like to think that I am quite a good friend. I don’t have much self esteem/confidence though and this is something that I am working on. @floralelysex – What is your favourite make up product (mascara, foundation etc.) My favourite make up product is definitely mascara. @pastelfiltered – Favourite mascara? This would be either They’re Real by Benefit or Doll Eyes by Lancome. @teenwifitumblr – Fav eye product? My Naked 2 palette, it’s my all time favourite! Although, my sister recently got the first Naked palette and I’m now obsessed with this one too! 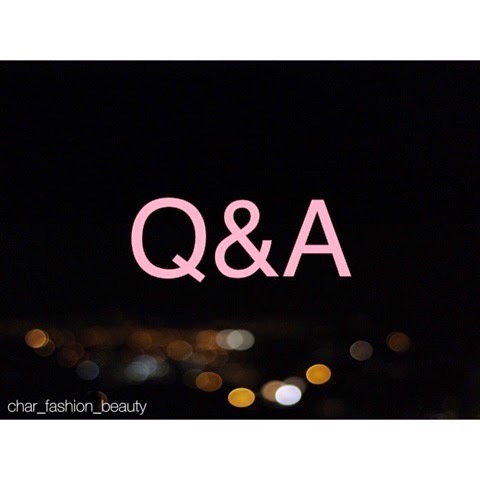 @jennifercharlotte_ – What beauty product couldn’t you live without? Definitely mascara, it finishes your whole face off. @itxnoelia – How is your morning routine? I’m actually really naughty with this and I don’t have one.. I really should though! If I did though, then I would moisturise my face (after I’ve had my shower of course) and also my legs. Then, I would continue with my normal routine of brushing my teeth, getting changed, etc. @wall.fl0wer.x0 – Favourite season? Definitely summer because everything and everyone is just happier when the sun is out! Although, I do like a bit of snow! @http.beautyaddict – Are you scared of spiders? Yes I am, I’ve had one run across my face before in the night and I nearly cried. I’m so mean because I always squash them with whatever is near me as they’re so unpredictable with where they are going to run away to – I’m going to have such bad karma for this I know!! @blurredtomorrow – What’s your favourite book? My favourite book is called ‘The Millionaires Nanny by Carol Grace’. @pastelfiltered – Favourite series on Netflix? I don’t have Netflix 🙁 If I did then I would watch anything and everything that I could! @0mq.floral – Favourite shop? Topshop is my all time favourite. I also love House of Fraser because of all the makeup and designer handbag areas. @_pastelprxncess – Favourite tv series? I have a few, but at the moment I am loving NCIS, Broadchurch and Made in Chelsea. @sparkleof_issy – Fav mac lipstick? I only own three and I don’t really like either of the colour’s that I have, but I would love to own Ruby Woo, Creme Cup, Angel and Pure Zen. @angel_youtube_singer & @velvetcaylen – Favourite YouTuber? ZOELLA!! ♡ She is just amazing. I also love Jaclyn Hill, MakupByAlli and Shani Grimmond. You guys have to check them out if you enjoy YouTube videos and makeup. @pastelcorinne – why you started the blog? I started this blog because I previously had one on wordpress.com (that I have now deleted) and I enjoyed posting on it, so I decided that I would continue on a more well known site that I could also decorate to my taste and style. @x.i.m.o.g.e.n.x. – What’s your dream job? I would love to work with makeup and become a professional makeup artist and also share my passion on the Internet (including YouTube). I also love to sing and dance, but you need confidence to that sort of profession.